I am taking commissions for small portraits illustrations. 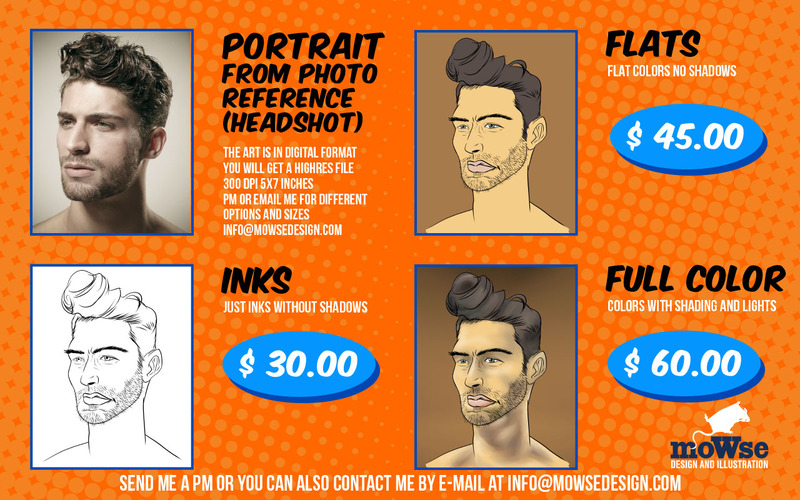 You can send me an e-mail to info@mowsedesign.com if you are interested or you can pm me on my social websites, you can see them on top of the page at the homepage. Basically this is the information about what kind of illustration I am doing, but if you need to know something more you can contact me about your ideas, I am open to different kind of commissions.